This paper analyzes the Arctic issue and the key actors involved. It presents briefly a history of the Arctic region and its geographical significance. It stresses the basic economic potential of the region, both in terms of natural resources and shipping lanes. It examines the policy positions of the major regional players. It emphasizes the economic and security issues that are emerging as the ice melts and there is now year-round sea traffic. The paper highlights the present period and current trends. 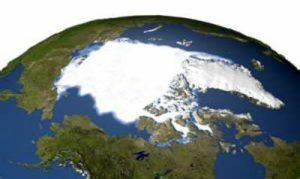 It stresses the need for an Arctic Regime and it lays down in some detail the basic structure of what this proposed Arctic Regime could entail. Furthermore, the primary international theories of Realism and Liberalism underlie this case study. International regimes are critical to Liberalism, yet power politics could abound in the Arctic in the coming decades. This raises the question as to whether countries can utilize regimes to not only promote Liberalism (international cooperation) but also to possibly preempt Realism (power politics). The Arctic case may suggest theoretically that the timeframe of an issue determines whether Realism or Liberalism is the dominant paradigm. Countries may choose to institute an international regime before an issue’s key variable(s) increase significantly in value in the overall national/international equation. In other words, the further out an issue takes precedence and value, the more likely for Liberalism and international regimes to occur. Hence, a window of opportunity can come years/decades before an issue reaches critical mass or after a major war. The higher in value an issue becomes over time, the more likely for Realism. Thus, the Arctic could be a very good policy to analyze, evaluate, and test multiple theories on from here on out. Scholars can observe closely how and why the key actors behave and, then, what the results are, in order to find conclusive evidence to support their theory or model. The Arctic is not a vital issue at this time, which suggests that Liberalism and international regimes may be possible. But, Realism may still be a prism for some at the present and an opportunity for an international regime may be lost. In time, as the Arctic issue grows in value and, possibly, becomes a vital national interest for one or more countries, then Realism may become the dominant force and the Arctic region could become much more tense and conflict could occur. Overall, this paper encourages a new and more open debate on the Arctic, and it attempts to move away from the past nationalistic claims of some actors to a more internationalist and cooperative approach to preserving the Arctic as an area of peace and harmony. An Arctic Regime, this paper argues, is the best means of promoting long-term security, stability, and prosperity in the region and it holds the best chance of establishing a mutually beneficial system for all the key actors involved. 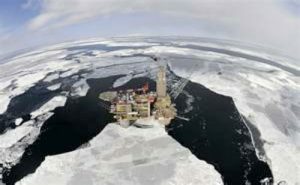 The paper contends that it is best to pursue an Arctic Regime now rather than wait for an energy crisis to emerge and a potential major power onslaught in the region to occur. Sooner or later, the Arctic will become an area of vital national security. Hence, an Arctic Regime is highly recommended. This paper provides details of a potential Arctic Regime and it makes suggestions on how best to establish it. It concludes with a number of recommendations for future policy analysis and implementation of this international regime. It will only be a short while longer that shipping through the Arctic will become a normal and major operation. The Northwest Passage will be as much a northwest as a northeast passage. 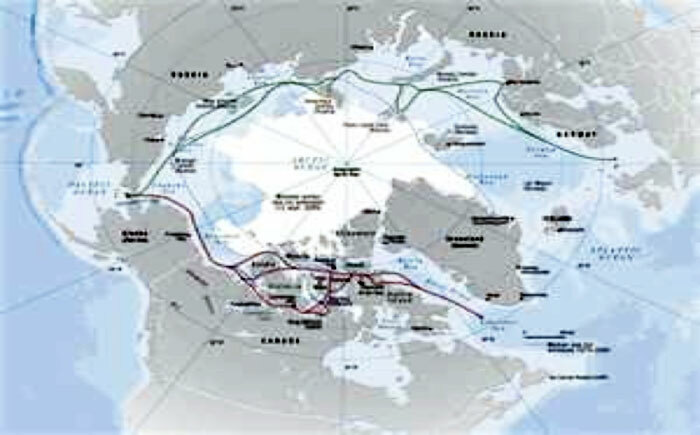 From Asia to the United States and vice versa there will be a major new shipping lane in the Arctic. Europe also will be on the new shipping lane. 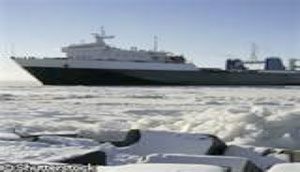 The Arctic lanes will cut shipping miles by more than 3,000 miles from Asia to the U.S.’s East Coast. To Europe it will save up to 6,000 miles from the original routes. This will be a tremendous savings in standard costs, fuel, and time. It is estimated that each standard shipping carrier will save approximately $2-3 million per trip.5 This will be a great incentive for the ships and international businesses. It also may lead to major changes in the international economy, as durable goods that are too heavy and costly to ship now become less expensive and more competitive to ship via the Arctic route. Specialized containers may be necessary for certain temperature-sensitive products. But, the overall impact on the international economy and existing trade relations could be tremendous in the coming decades. And, once the shipping becomes normal practice with minimal risks and problems, the insurance costs should become normal if not lower. Arctic waters are calm and there is no risk of a major hurricane and other storms, let alone other possible dangers. If the ships are properly fitted, then any errant iceberg in the near future can be dealt with. If and when the entire shipping lanes become ice-free, then it probably will not take longer than 5-10 years of shipping to establish a normal benchmark for shipping companies and insurers to determine that this new shipping lane is relatively safe and, thus, should have normal insurance pricing. As a result, when combined with the thousands of miles and one or more weeks of time saved, the overall insurance costs should go down significantly for companies. This will make it even more attractive financially to traverse the Arctic route. The United States may sooner or later come to the official recognition that Canada does not appear willing to commit the necessary resources to maintain adequate security in the Arctic. It may already have done so, unofficially. The U.S. has maintained some strategic forces in the region, mainly submarines, but the U.S. has yet to make anywhere near the aggressive moves and forces as Russia. The U.S. does not have a modern fleet of Arctic icebreakers, but it certainly has the capability to build one. The Russians are expanding rapidly in the Arctic region in terms of claims, exploration, and slowly but surely oil and mining activities. The U.S. must soon determine its policy on this matter or else the Russians may make the decision for it. The U.S. has worked with Canada on joint security throughout the Cold War, mainly through NORAD and the multiple layers of radar across Canada up to the Arctic. Both the U.S. and Canada have laid down many sonar devices as well. The primary threats to both countries for much of the last half century have been Russian submarines, bombers, and ICBMs. There is less of a threat now with the end of the Cold War, but the security issue remains and could emerge again in the near future.21 The existing international security and energy situations are precarious. Any Middle East crisis that cuts off significant amounts of oil will lead many countries to desperately search for new oil reserves to quickly replenish their lost ones. How long the Arctic will remain off the front stage of world affairs is a question that may be answered sooner rather than later. In the future, the greatest threat to U.S. interests in the Arctic may be Canada’s inability or unwillingness to develop an adequate security plan and force to the emerging economic opportunities in the Arctic. The U.S. does not recognize Canada’s claim to the waterways and, thus, cannot establish an official joint security program in areas in which it does not recognize Canadian sovereignty. Canada cannot do this as well without a major diplomatic backlash by the U.S. and others. Neither side can maintain a fiction for long without having the other renounce its claims and oppose its policy. Thus, strategic threats to North America above and below the Arctic may continue to be addressed jointly by the U.S. and Canada through NORAD and other existing security bodies, but the emerging economic opportunities and subsequent security threats have yet to lead to a plausible joint policy program or organization. This, in the end, may require multinational negotiations or bilateral and individual actions vis-à-vis other countries outside the area. But, this likely will be a very weak and limited policy option with highly questionable results. It is important to emphasize that the U.S. is the only North American power capable of maintaining comprehensive security coverage over the North American Arctic at this time and into the foreseeable future. The Russians likely will seek control over at least one-third to one-half of the Arctic in the coming years. The question is whether the Russians will go further and, if so, can they be stopped if they proceed to make a claim beyond half of the Arctic. And, what will prevent the Chinese and/or other countries from moving in as well and basically claiming squatters’ rights or just plainly taking by force and injecting their oil, natural gas, and mining industries into the region? A Russian-Chinese alliance on this issue may be even more threatening, especially if Russia agrees to support Chinese operations in the North American Arctic in return for Chinese recognition and support of Russia’s claim to half or more of the Arctic. Only the U.S. can conceivably alter this potential security equation in favor of North America. But, if Canada refuses to allow and support the U.S.’s perspective on the Arctic region, then this could become a major international problem that could lead to serious tensions and conflict. Once again, hypothetical now but too important to ignore. An Arctic Regime may be the best solution to stabilizing and securing the Arctic for the long term. Canada, however, should consider giving up its existing claims to most of the area. If Canadians continue to demand it all, they in the future may be seen internationally as hoarding mass natural resources while much of the world starves of energy resources. This very likely may increase tensions and conflict. Do Canadians truly believe that they can actually defeat a determined and desperate power in the Arctic? Just like the natives centuries ago, a small population with huge natural wealth is a great temptation for many great powers, especially in times of intense conflict, competition, and need. Canada may be perfectly right and moral in its position, but it may not be enough. Canada has only around 30 million people with minor population growth throughout its history, yet it has one of the largest landmasses in the world and huge natural resources. With the Arctic region, it will become even more massive in territory and natural wealth—and, extremely tempting to many peoples and countries, especially with such a tiny security force. Canadians either can be pro-active in supporting an Arctic Regime or they can go it alone—with all of its potential consequences and risks. Any Arctic Regime must take these unique factors and circumstances mentioned above into account. Canada, above all, must consider relinquishing its sovereignty claims to at least the Arctic waterways if not the archipelago, if any Arctic Regime is to have any chance of being formulated and supported by the international community. The U.S. cannot proceed if it is expected to pay and risk the most but have relatively little ownership in the region. The U.S. and American companies cannot rely on the whim and decisions of a foreign power in terms of freely operating in the Arctic region. Furthermore, the primary participants in an Arctic Regime must be limited to just the most relevant countries to avoid over-complicating the matter and any future regime operations. This means that the U.S., Canada, and Russia should be the Big Three. Denmark and Norway should be given supporting but minor roles in the regime. The other Scandinavian countries and Iceland may become signatory but not principal members. All of them are relatively small and weak and have had very little activity in the region. Their claims are based far from their home territory and on tiny populations. Allowing them a significant role would most likely complicate the operational and decision making process and it could raise serious questions about the regime’s credibility and substance. And, they cannot be expected to contribute sizeable Arctic forces for security purposes. They, nevertheless, can express their opinions and interests and utilize the Law of the Sea Convention, but the Arctic Regime needs to be based on the three most important countries in the Arctic region. The Big Three need to be the primary administrators of an Arctic Regime. The U.S., Canada, and Russia need to define clearly the Arctic in terms of international waterways for traversing by all and, on the other hand, specific economic and security areas for the Big Three to take care of. The U.S. and Canada should have a joint and equal partnership in negotiating with Russia. The U.S. government and companies should have equal legal rights and access to the U.S.’s designated side of the Arctic. If the U.S. will be a major protector and actor in the region, then it must have direct access and control over its legitimate claims and monetary resources from American companies. Canada should not be allowed to deny U.S. companies access or prevent the U.S. government and people from benefiting fully and financially from the Arctic region. A joint partnership should mean joint ownership. Canada has more than enough resources and very little need, while the U.S. has tremendous requirements and its government is in desperate need for more income. And, the U.S. has by far the most capabilities to develop and protect the Arctic well into the future. The Arctic region, therefore, should be a shared endeavor that is mutually beneficial to all regime members. The Arctic Regime, most likely, will come down to Canada accepting a joint partnership and territorial governance with the U.S. over the North American half of the Arctic. If and when this occurs, negotiations with Russia can commence. Details of territorial claims should be defined and agreed upon. Since a sizeable part of the Arctic has not been fully researched in detail, this may assist in facilitating a quick and mutually beneficial agreement by all three parties. Most of the Arctic should be legally opened to all non-military vessels above and below the water. The standard territorial water limits (12-mile sovereignty and 200-mile exclusive economic zone, with a 350-mile possible continental shelf recognition) cannot really be applied with all the islands (melted or still iced over), but they can be stated with regards to the continental landmass of the home countries. In terms of economic and security claims, the splitting of the Arctic into halves or an approximate 40-40-20 split would appear best. If halves, then Russia can oversee its half of the Arctic and the U.S. and Canada can jointly oversee the North American half. Decision making on overall Arctic issues should be based upon unanimity. 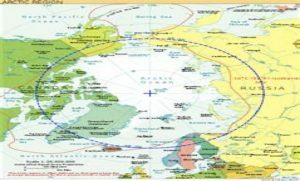 If there is the other type of split, this would entail a neutral zone around the North Pole area that would be closed to all economic and military activities and would be administered by the Big Three and possibly other countries. The Arctic divisions would all be for economic exploitation and licensing by the home countries. The U.S. and Canada on one side. Russia on the other. Both sides could have the right to hand out licenses to other outside participants. Each member should receive a portion of all the license fees and natural resource royalties (severance taxes) acquired by the other members, in order to ensure a truly cooperative and profitable joint venture; although the largest share of the fees and royalties should go to the member approving the operation. Furthermore, both sides would have the right to secure militarily their Arctic zones. Thus, the U.S. and Canada would have and develop a North American defense perimeter in the Arctic that would include an economic zone. If a neutral zone is established, then an agreed upon international observation force could be used. Overall, an Arctic Regime is highly advisable. Canada should consider taking the high road, likes its diplomatic forbears of Lester Pearson and other magnanimous Canadians. But, Canada may be diverted towards power politics and nationalistic and opportunistic territorial claims. This raises the theoretical issue of whether there is a ongoing premature and unnecessary use of Realism on an issue which, in turn, is undermining the chances of Liberalism and an international regime to reduce the chances of conflict in the long term. Although emotional and psychological factors can be attributed to the basic claims of sovereignty, Canadians should look beyond these types of attitudes and behaviors. Canada is at a crossroads and the Arctic region presents a major decision for Canada’s future and character. Should Liberalism or Realism predominate on this issue and at this time? The U.S. has been willing to ignore politely Canada’s claims, but it is unknown for how much longer without serious consequences. Other powers may not be so polite in the future. Canada has the opportunity to lock-in and secure its economic and security interests for the long term. Stabilizing the Arctic region for the rest of this century and beyond should be a top priority for Canada. Sharing the Arctic should be foremost on Canadians’ minds. Hoarding much of the Arctic will only antagonize the major powers, especially its primary friend and neighbor. A joint ownership and partnership would be a truly magnanimous thing for Canadians to choose. It also would be a very sly and strategic policy of securing a substantial amount of the Arctic and ensuring that its closest threats and competitors are part of this international regime. Canadians should remain Canadians and not go down further the power politics road that would require much greater hardships, sacrifices, and risks. Canadians can achieve a sizeable part of their policy objectives by agreeing to give up their nationalistic claims to the Arctic archipelago and pursue a cooperative internationalist approach to the Arctic. An Arctic Regime should be a top priority for all Canadians. Overall, Americans stand ready to grasp the hands of their Canadian neighbors in friendship when they are ready to do so. The Arctic power vacuum should be filled as soon as possible. A path of peace and prosperity should take precedence over some narrow, hawkish views on the subject. An Arctic Regime can preempt future international competition and conflict and a region dominated by Realism. And, it is possibly the best hope for much of the world in the coming decades in terms of natural resources, shipping lanes, and protecting the regional environment. The world can only hope that an Arctic Regime can be established in due time and diligence. America stands with arms stretched out to Canada. Will Canada reciprocate? An Arctic Regime stands at the precipice of formation. The world awaits Canada’s answer. Scholars and theories await as well. 3. Alun Anderson, After the Ice: Life, Death, and Geopolitics in the New Arctic (New York: HarperCollins, 2009), 215-219, Byers, 11, 38-40, Jonathan Cribbs, “Arctic Shipping Lanes Open,” February 16, 2009, www.mnn.com/eco-biz/sustainable-business-practices/stories/arctic-shipping-lanes-open, Tsuruoka. 4. Byers, 11, 41-42, Anderson, 214-215, Revkin. 5. Reiss, Byers 39-42, Anderson 215-219, Struzik, 234-236, Cribbs. 6. Ken S. Coates, et al., Arctic Front: Defending Canada in the Far North (Toronto: Thomas Allen Publishers, 2008), 82-83, 138-139, 168-183, Byers 2-3, 6-7, 42-44, 48-51, 58, Donat Pharand, The Law of the Sea of the Arctic: With Special Reference to Canada (Ottawa: University of Ottawa Press, 1973), 168-179, Abele, 110-117, 120-121. See also the Government of Canada website, including www.international.gc.ca. 7. Struzik, 230-236, Byers, 7, 10, Reiss, Revkin, Stratfor, “Italy, Russia: Oil Companies Sign Deal For Arctic Exploration,” April 25, 2012, www.Stratfor.com, Fred Weir, “Global Warming Opens New Arctic Shipping Lane,” October 15, 2009, www.csmonitor.com/World/Global-Issues/2009/1015/p11s01-wogi.html, and Clifford Krauss, et al., “As Polar Ice Turns to Water, Dreams of Treasure Abound,” October 10, 2005, www.nytimes.com/2005/10/10/science/10arctic.html. 8. Byers, 88-93, Scott G. Borgerson, “Arctic Meltdown: The Economic and Security Implications of Global Warming,” Foreign Affairs 87, no. 2 (March/April 2008): 63, Reiss, Abele, 110-113, Struzik, 230-231, Krauss. The United States has signed but not ratified the UNCLOS, while Canada just ratified it in 2003. Russia has ratified UNCLOS. Just before President Bush left office, his administration initiated on January 9, 2009 National Security Presidential Directive/NSPD-66 Arctic Region Policy in which, among many things regarding the Arctic, it called on the U.S. Senate to ratify UNCLOS. For NSPD-66, see United States White House, National Security Presidential Directive/NSPD-66 Arctic Region Policy, January 9, 2009, www.fas.org/irp/offdocs/nspd/nspd-66.htm. 9. United States Geological Survey, USGS Arctic Oil and Gas Report: Estimates of Undiscovered Oil and Gas North of the Arctic Circle, July 2008, http://geology.com/usgs/arctic-oil-and-gas-report.shtml, Struzik, 232-233, Mikkelsen and Langhelle, 2-5, Byers, 10-11, 41-42, Dittman, 3, Tsuruoka. 10. Byers, 42-44, 48-51, 62-67, Coates, 82-83, 168-183, Government of Canada online, Abele, 116-117. 11. Pharand, 168-179, Byers, 2-3, 6-7, 42-44, 80-83, Coates, 82-83, 168-169. Byers, 80-81, interestingly quotes Donat Pharand before a government committee as saying that “The United States will never agree to recognize our full control over those waters unless they know that we have the capability to exercise that control, which we do not have at the moment” (80). Byers goes on to say that “From a U.S. perspective, Canadian sovereignty combined with a lack of enforcement capacity might be worse than a waterway that was wide open to all. In an international strait, the United States could at least exert a military presence and, on the basis of the inherent right of self-defence, interdict vessels posing an imminent threat to itself or its citizens” (80-81). 12. Byers, 48-51, 112-113, 119-123, Coates, 178, Barry Scott Zellen, On Thin Ice: The Inuit, the State, and the Challenge of Arctic Sovereignty (Toronto: Lexington Books, 2009). There are approximately 30,000 Inuit in Nunavut and 150,000 overall in Canada. There are about 4 million indigenous people around the entire Arctic region. 13. Struzik, 228-231, Byers, 24-25. 14. Byers, 2-3, 48-51, Krauss, Struzik, 230-231, Abele, 110-115. 15. See many of the sources listed above in addition to Elizabeth B. Elliot-Meisel, Arctic Diplomacy: Canada and the United States in the Northwest Passage (New York: Peter Lang Publishing, 1998), William C. Wonders, ed., Canada’s Changing North (Montreal: McGill-Queen’s University Press, 2003), Fikret Berkes, et al., Breaking Ice: Renewable Resource and Ocean Management in the Canadian North (Calgary, Alberta: University of Calgary Press, 2005), Antoni G. Lewkowicz, Poles Apart: A Study in Contrasts (Ottawa: University of Ottawa Press, 1999), John E. Udd and A. J. Keen, eds, Mining in the Arctic (Brookfield, Vermont: A. A. Balkema Publishers, 1999), and Diane Andrews Henningfeld, ed., The North and South Poles (New York: Greenhaven Press, 2010). 16. Byers, 62-67, Abele, 114-117. 17. Government of Canada and the National Defense and the Canadian Forces websites, particularly www.forces.gc.ca., and their links, Byers, 62, 67. Coates, et al., grade Canada’s past performance on the Arctic and give it an F grade, but they give the Harper Government and its proclaimed goals a B minus for heading in the right direction, although little substance has been achieved yet (pp. 191-196). Coates, et al., also call on Canada to give up on its “internal waters” claim to the Arctic, arguing that the U.S. and world have not and will not accept this claim and that it is an unnecessary barrier to accomplishing much more important Canadian objectives. 18. Struzik, 232-234, Anderson, 198-199, Krauss, Tsuruoka. For more on world energy security, see also Michael T. Klare, Rising Powers, Shrinking Planet: The New Geopolitics of Energy (New York: Metropolitan Books, 2008), Antonio Marquina, ed., Energy Security: Visions from Asia to Europe (New York: Palgrave Macmillan, 2008), and Kurt M. Campbell and Jonathon Price, The Global Politics of Energy (Washington, D.C.: the Aspen Institute, 2008). 19. Ibid., Byers, 10-11, 41-42, 88-89, Reiss. 20. Byers, 88-89, Government of Canada, Struzik, 236-237, Abele, 114-115, 134, Coates, 169, 191-196. 21. Byers, 2-3, 74-78, Abele, 117. For more on NORAD and the Arctic, see Charles F. Doran and John H. Sigler, eds., Canada and the United States: Enduring Friendship, Persistent Stress (Englewood Cliffs, NJ: Prentice-Hall, Inc., 1985), Suzanne Holroyd, Canadian and U.S. Defense Planning Toward the Arctic (Santa Monica, CA: RAND Corporation, 1989), John Honderich, Arctic Imperative: Is Canada Losing the North? (Toronto: University of Toronto Press, 1987), Charles F. Doran, Forgotten Partnership: U.S.-Canada Relations Today (Baltimore: The Johns Hopkins University Press, 1984), and Joseph T. Jockel, No Boundaries Upstairs (Vancouver: University of British Columbia Press, 1987). 22. For more on international regimes, see among many others Stephen D. Krasner, ed., International Regimes (Ithaca, NY: Cornell University Press, 1983). Also, Byers presents a number of other ideas and recommendations for improving the Arctic situation (84-86). Coates, et al., encourage Canada to be less adamant on the internal waterways claim and work with the U.S. on a wider variety of Arctic issues. See also Tsuruoka. 23. Krasner. For more information on the politics of Antarctica and its potential to be a model for the Arctic, see Peter J. Beck, The International Politics of Antarctica (New York: St. Martin’s Press, 1986), Jeffrey D. Myhre, The Antarctic Treaty System: Politics, Law, and Diplomacy (Boulder, CO: Westview Press, 1986), M. J. Peterson, Managing the Frozen South: The Creation and Evolution of the Antarctic Treaty System (Berkeley, CA: University of California Press, 1988), and Deborah Shapely, The Seventh Continent: Antarctica in a Resource Age (Washington, D.C.: Resources for the Future, 1985). 24. Charles D. Lutes and Peter L. Hays, et al., Toward a Theory of Spacepower: Selected Essays (Washington, D.C.: National Defense University Press, 2011), particularly 266-269. 25. This Arctic Regime proposal is completely the author’s own. More proposals, discussions, and debates are highly encouraged to promote a free exchange of ideas that may help improve the Arctic situation. Abele, Frances, Thomas J. Courchene, F. Leslie Seidle, and France St-Hilaire, eds. 2009.
for Research on Public Policy (IRPP). Beck, Peter J. 1986. The International Politics of Antarctica. New York: St. Martin’s Press. Benke, Arthur C. and Colbert E. Cushing. 2010. Field Guide to Rivers of North America. Berkes, Fikret, Rob Huebert, Helen Fast, Micheline Manseau, and Alan Diduck, eds. 2005. Alberta: University of Calgary Press. Global Warming.” Foreign Affairs 87, no. 2 (March/April 2008): 63-77. Control.” Foreign Affairs. March 25, 2009. North. Berkeley, CA: Publishers Group West. Joseph S. Nye and Brent Scowcroft. Washington, D.C.: The Aspen Institute. and Risks. Boston: Martinus Nijhoff Publishers. Front: Defending Canada in the Far North. Toronto: Thomas Allen Publishers. Cribbs, Jonathan. 2009. “Arctic Shipping Lanes Open.” February 16, 2009. Journal of Military and Strategic Studies 11, no. 3 (Spring 2009) online: 1-62. Friendship, Persistent Stress. Englewood Cliffs, NJ: Prentice-Hall, Inc.
Dosman, E. J., ed. 1976. The Arctic in Question. Toronto: Oxford University Press. Philosophy & Public Affairs 12 (Summer 1983): 205-235. Affairs 12 (Fall 1983): 323-353. Foreign Affairs 89, no. 3 (May/June 2010): 7-12. Northwest Passage. New York: Peter Lang Publishing. Our North, Our Heritage, Our Future” (2009) at www.northernstrategy.gc.ca/cns/cns.pdf. Howard, Roger. 2009. Arctic Gold Rush: The New Race for Tomorrow’s Natural Resources. Military and Strategic Studies 12, no. 2 (Winter 2010) online: 1-22. Conflict from 1500 to 2000. New York: Random House. Klare, Michael T. 2008. Rising Powers, Shrinking Planet: The New Geopolitics of Energy. Krasner, Stephen D., ed. 1983. International Regimes. Ithaca, NY: Cornell University Press. Ice Turns to Water, Dreams of Treasure Abound.” October 10, 2005. Canada and the United States. New York: Praeger. Caspian Sea. New York: Random House. September 25-27, 1997. Ottawa: University of Ottawa Press. Essays. Washington, D.C.: National Defense University Press. International Studies Perspectives 12, no. 3 (August 2011): 327-340. Mikkelsen, Aslaug and Oluf Langhelle, eds. 2008. Arctic Oil and Gas: Sustainability at Risk? National Defense and the Canadian Forces. www.forces.gc.ca. Realities. New York: Cambridge University Press. Treaty System. Berkeley, CA: University of California Press. Pharand, Donat. 1973. The Law of the Sea of the Arctic: With Special Reference to Canada. in the Farthest North. Toronto: Peter Martin Associates Limited. Reiss, Bob. 2008. “The Race to Own the Arctic.” Parade (June 1, 2008): 4-5. Revkin, Andrew. 2008. “A Push to Increase Icebreakers in the Arctic.” August 17, 2008. ———. 2008. 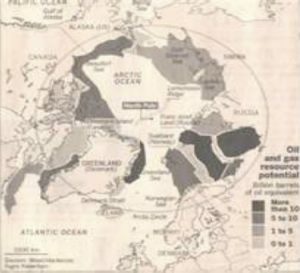 “Experts Confirm Open Water Circling Arctic.” September 6, 2008. Far North. London: Frances Lincoln. D.C.: Resources for the Future. of Military and Strategic Studies 11, no. 3 (Spring 2009) online: 1-63. Joint Forces Quarterly 62 (July 2011). www.ndu.edu/press/arctic-new-cold-war.html. Snyder, John. 2007. Tourism in the Polar Regions: The Sustainability Challenge. Washington, D.C.: United Nations Environment Programme. ———. 2012. “Norway’s Arctic Militarization.” April 4, 2012. www.Stratfor.com. Wiley & Sons Canada, Ltd.
Tsuruoka, Doug. 2009. “Melting Arctic Ice May Unlock Energy, Ore and Shipping Lanes. Udd, John E. and A. J. Keen, eds. 1999. Mining in the Arctic. Brookfield, Vermont: A. A.
Undiscovered Oil and Gas North of the Arctic Circle. July 2008. Region Policy. January 9, 2009. www.fas.org/irp/offdocs/nspd/nspd-66.htm. Climate Change.” October 25, 2010. Upton, Claudette Reed. 1981. Frontier Oil and Gas Development: The Decade Ahead. May 1981. Calgary: The Arctic Institute of North America. of Military and Strategic Studies 11, no. 3 (Spring 2009) online: 1-23. Weir, Fred. 2009. “Global Warming Opens New Arctic Shipping Lane.” October 15, 2009. Young, Oran R. 1992. Arctic Politics: Conflict and Cooperation in the Circumpolar North. Environment. Ithaca, NY: Cornell University Press. ———. 2008. “Toward a Post-Arctic World.” Strategic Insights 8, no. 1 (December 2008). Quarterly 57, no. 2: 103-110. www.ndu.edu/press/lib/images/jfq-57/zysk.pdf. Steve Dobransky is an Adjunct Professor at Lakeland College. He is completing his Ph.D. at Kent State University and is ABD. He has an M.A. from Ohio University and a B.A. from Cleveland State University. He majors in International Relations and Justice Studies. Contact: sdobrans@kent.edu.